Home » Auto Accidents, Featured, Miscellaneous, People & Places » What is the Fate Press Office Director Dorian Pakeman? What is the Fate Press Office Director Dorian Pakeman? There is another case involving another political operative. It involves Dorian Pakeman, the Director of the Government’s Press Office. 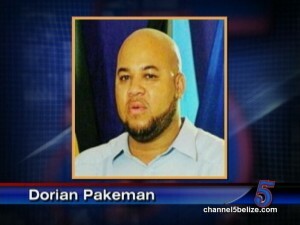 Pakeman hit and killed Gardenia resident, Dean Dawson. 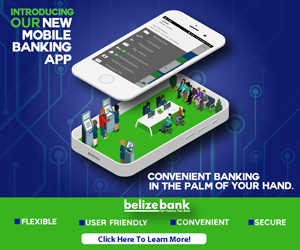 Pakeman was driving his government vehicle back on March thirteenth, 2016 between miles twenty-two and twenty-three on the Philip Goldson Highway when he hit the well-known mechanic. Dawson is said to have been travelling on a bike heading to Crooked Tree when he was knocked down. That matter has been under investigation since then, but in the meantime information surfaced that Pakeman tested positive for use of cocaine when the accident occurred and that the blood sample of the deceased was tainted. Tonight, we can confirm that there is still no decision in respect of charges and the Pakeman file will be returned to the police after it landed just recently at the desk of the Director of Public Prosecutions. The D.P.P., Cheryl-Lynn Vidal, has confirmed that the file was returned to her Office last Friday, but that the directions which she had given a month and a half before, have not all been complied with and so the file will be returned to the police. The D.P.P. also informed us that a witness who it appears is able to assist police in the matter has still not been located by the Police and that her office will be making contact with the family of the deceased directly in order to see what assistance they can provide in this regard. The D.P.P. indicated that she is not aware of the result of the investigation into the adulteration of the blood sample of Dean Dawson and directed us to the Professional Standards Branch which she was informed is conducting that investigation. The D.P.P. could not confirm reports that the family of the deceased may not be interested in pursuing the matter any further. …But, Will Douglas Grant Still be Charged for Firearm Offense?